The Chronicles of Narnia mean different things to different people. It is considered an allegorical retelling of the Christian story on one hand. It is also considered a vehicle for "soft-sell paganism and occultism," mainly due to its magical themes. But regardless of which side of the fence you've chosen to fall, there is little doubt that The Chronicles are seven of the most beloved children/fantasy books. Published between 1950 and 1956, each book follows the adventures of several children in a magical world called Narnia. Over the course of the entire series, we get to learn more about that world and its inhabitants. It is a world that exists parallel to ours, where men and talking beasts coexist. And from the very first book, the reader is transported there, and made to care about its fate as their actions shape its future. There is much debate concerning the order in which the books should be read i.e. in publication order or chronological order. I am one of those who prefer to read them in publication order, simply because The Lion, the Witch and the Wardrobe is such a good place to start. 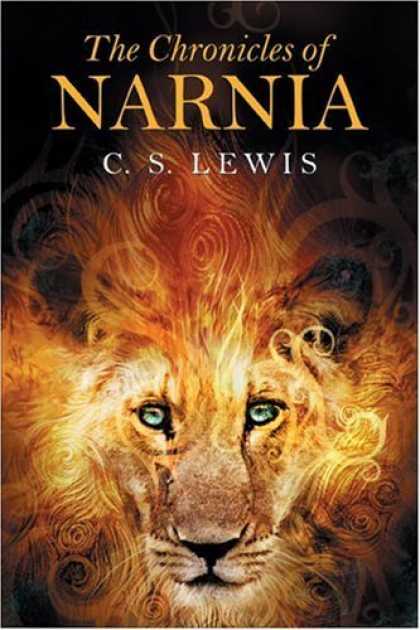 It did a decent job of introducing Narnia and characters like the White Witch and the Christ-like lion, Aslan. That said, my favorite book in the series is actually The Magician's Nephew (#1 in chronological order), primarily because my experience with it was influenced by the buildup from the five books before it. I can't even imagine how my favorite character, the White Witch (or Jadis as she is known here), would have come across, had her villainous ways not already been introduced in the first book. But there is little doubt I would still consider her "a dem fine woman." I wonder what that says about me as a person. My son got the book for Christmas, and Hubby is reading it to him. They're halfway through The Magician's Nephew, but I have to admit I struggle with any of the stories that aren't The Lion, The Witch and The Wardrobe because that's the first one I read. I'm actually popping over from IWSG, helping Alex cohost, but I loved this book and its various movie forms. I had no idea it was considered by some to dabble in the occult. To me, it was always about the Christian message. It's my favorite in the series, perhaps because I can so easily apply the message. The others were more obscure to me. I was just as surprised the first time I heard, how a message so clearly Christian could be called anything otherwise. But people will always find something to complain about, if they are only willing to look hard enough. I was obsessed with the books growing up. Yet by the time of the new movies, I had grown entirely out of Narnia. I'm still working my way back. I tend to think the books should be read in the original publication order, so it's always confused me to see the chronological order, but I guess that makes sense, too. The first movie was great. The second was just okay. By the third, you could tell that the series was starting to lose some serious steam. I really hope they adapt the remaining four; I am especially looking forward to The Horse and his Boy, and The Magician's Nephew. Love those books. Adult me has some problems with the blatant sexism Lewis employed, but still, they're terrific adventure stories. Those are wonderful books! I see the Christian elements in them, which makes them all the more powerful. My favorite is the Voyage of the Dawn Treader. These are the books my dad read to us as kids :) SO FABULOUS! I'm so glad many people got to experience these books as children. I didn't get to read them, or start reading for that matter, until much later. I loved that book. And I enjoyed the movies too.